When discussing and writing about GMOs, many arguments are put forth on why they are “bad” and should be avoided. However, many of these are not about GMOs, but rather, are issues that we’re facing in modern agriculture and in our economy. In this post, I examine nine common reasons I’ve encountered for opposing GMOs that are much broader in scope. Transgenesis, or the method used to make most GMOs, is a tool and it makes no sense to oppose a method with broad applications. It’s like opposing electronics as a category because you don’t like Microsoft or because Apple dominates the portable music electronics business. In fact in the comments section of an article just written in the NY Times about GMOs, you’ll see the reasons below being listed time and time again. 9) GMOs are patented. Yes, many of them are patented, but so are many non-GMO crops. Pluots didn’t just drop out of the sky: someone had to work for years to develop those tasty treats, so there are patented varieties. 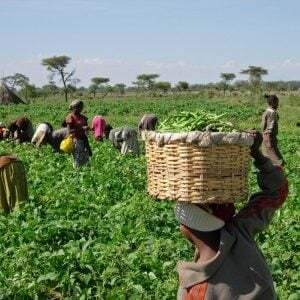 Not all GMOs are patented: there are open-source GMOs, and there are also GMOs where organizations have worked with private enterprises to give away seeds on humanitarian grounds, such as Golden Rice. So using the “GMOs are patented” excuse makes no more sense than saying that you don’t like electronics because Windows is under a copyright. 8) GMOs cause superweeds. GMOs that carry traits for herbicide tolerance can lead to weeds that develop tolerance to the herbicide, known as “superweeds”. Superweeds are far from being an issue unique to GMOs, and even pulling weeds by hand can lead to weeds that look like the crop itself (known as mimicry). The issue of superweeds is a serious one, and this database tracks herbicide resistant weeds as they develop across different nations. Reducing it to a “GMO-specific” problem and severely narrowing the scope of the issue, deters the efforts of finding genuine solutions to the problem. So using the “GMOs cause superweeds” excuse makes no more sense than saying that you don’t like computers because they can lead to electric shocks, when the issue is much broader in scope. 7) GMOs are drenched in pesticides. Yes, pesticides (be they herbicides, insecticides, or fungicides) are used on GMOs, as well as any other form of modern agriculture unless the farm specifically states “pesticide-free”. That includes the U-Pick farm I’ve gone to with my family for cherry picking and the organic peach farm next to it. That includes the fields of corn that we drove by to get there. It took me a while to come to the realization that no form of agriculture is perfect. If we insist on going pesticide-free, crops will be lost which will increase costs to consumers and we will have to dedicate more land to get the same output. Pesticides are expensive. Farmers don’t just decide to spray their fields with pesticide because they feel like it, nor do they “drench” their fields in it. There are laws and regulations on how much can be applied, and why on earth would anyone use any more than necessary when its use can cut from your profits? Here’s an excellent post written from a farmer’s perspective on the topic of pesticides and why they’re used. It must be stressed that some GMOs are specifically designed to reduce pesticide use, such as the Rainbow Papaya which resists the ring-spot virus and saved Hawaii’s papaya industry. 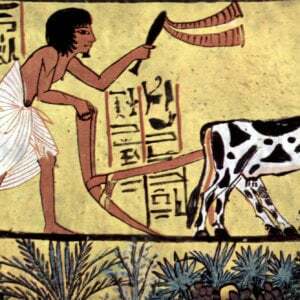 6) GMOs are monocultures. Yes, there are vast fields of GMO corn in places across the US, but there are also vast fields of non-GMO spinach and giant orchards of fruit. When I lived in Venezuela, we lived across from a valley that was a giant sugarcane farm. It was enormous and it belonged to the local sugar refinery. Every year, they’d harvest sugarcane about 3 times. It never changed, there was no crop rotation, and it just went on for miles. This is an example of a monoculture, yet there’s no GMO sugarcane. Monocultures can lead to crop resistant pests, and farmers are encouraged to rotate their crops from one year to the next so that this risk can be minimized. So, again, reducing the issue of monocultures to a GMO-specific one is highly disingenuous. 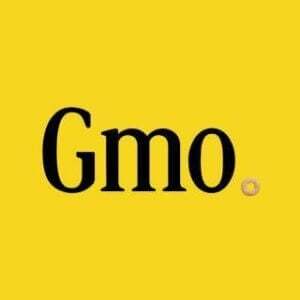 5) GMOs are being made by Big Ag to line their pockets. Unless your problem is with making money in general, then this doesn’t make much sense. Of course agribusinesses want to make money. Why would any corporate enterprise embark on a project where they think they’d lose money? Again, the “Big Ag” argument doesn’t apply to all GMOs. Arctic Apples were developed by a small company up in BC, Canada that only had seven employees. AquaBounty, which developed the transgenic salmon (not yet commercialized) only had 12 employees on staff in 2012. And of course, many transgenic crops are being developed by public sector scientists, some of which address undernourishment such as biofortified bananas to address vitamin A deficiency. This reason for opposing GMOs is like saying that you oppose electronics because Apple makes too much money from the iPhone. 4) GMOs place restrictions on seed saving. This is tied to #9 on this list. Farmers who plant GMOs sign a contract where they state that they will not reuse seeds. There are non-GE crops where farmers have to sign agreements as well (this includes non-GE sunflowers, which Chipotle switched to when they decided to go non-GMO). In the same way that you’re not supposed to copy and give away that Maroon 5 song that you just downloaded from iTunes because it’s a copyright violation, farmers are supposed to respect the intellectual property rights of the companies with whom they have signed a contract. Many farmers have written about the plethora of choices they have when it comes to seeds (here’s one of my favorite articles). Basically, if farmers do not like the restricted seed use, they don’t have to buy the seeds. It’s as simple as that. The fact that they do and that they buy the seeds on a fairly regular basis suggests that there’s something about GMO seeds that they prefer. So this has little to do with GMOs: it has to do with patents. If you can think of a better way that companies can recover the dollars they spend on making a product after the first year, by all means, make the suggestion. Farmers who do not use GMOs generally buy their seeds from one year to the next, too, because the seeds they plant are often hybrids. Recalling Mendel’s pea experiments, this would mean that if farmers reused the seeds, only a portion of the following year’s crop would have the traits they want. This video does a great job of explaining why farmers buy new seeds each year, even if the seeds are non-GMO. 3) GMOs use the carcinogenic glyphosate. Glyphosate use is not restricted to GMOs. That by itself is enough to earn it a place on my list. In fact, we just used it this week to get rid of a particularly thorny wild blackberry that we couldn’t control and was right in my 3-year-old son’s biking path along the driveway. Regarding the label “carcinogenic”, I think that Dr. Andrew Kniss wrote one of the most balanced pieces I’ve read on this topic, and I’d like you all to head over there to take a look. The recent categorization of glyphosate by the IARC is very specific: they deemed it as “possibly carcinogenic” for non-Hodgkin’s Lymphoma, mostly in agricultural workers. All those important details get lost when we simply state that glyphosate is a carcinogen. An important point to keep in mind is the time at which herbicides such as glyphosate are applied. 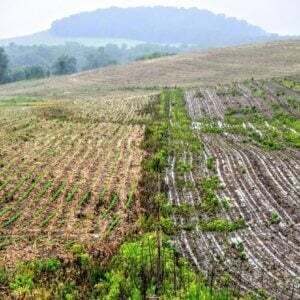 Think about it: glyphosate is being applied so that corn/soy can grow heartily without getting choked out by weeds. Does it make sense to apply glyphosate when corn is several feet tall? Here’s Pioneer’s recommendations for glyphosate application, and they recommend using glyphosate when the plants are just a few weeks old. Between that time and harvest, it might rain, the sun will have beaten down on the crops, and the crops will have been watered. So saying that the corn we eat is “drenched” in glyphosate doesn’t make sense. Regarding the amount of glyphosate used, I love this graphic by Sarah Schultz where she explains that approximately one soda can-sized amount of glyphosate is applied across an entire acre of crop in one season. Yes, glyphosate will be absorbed by the plant, but the amount that is absorbed and survives food manufacturing is a far, far, far cry from being “drenched”. More importantly, there are many GMOs that are not glyphosate resistant: the Arctic Apple or Innate Potato, for example, could be grown using organic practices (without the organic label), and again, all those GMOs that are being made for humanitarian purposes that have absolutely nothing to do with pesticides. Monsanto. I give Monsanto two spots on this list, because there are different aspects to the “I hate GMOs because of Monsanto” reason. 2) GMOs promote a monopoly. Every time I see this, I think that someone over at Dow Agro is cackling. I work in a field in biotech where a single company has between 70-80 percent of the market. Google web searches are used almost 70 percent of the time. Android has 80 percent of the market in operating systems for smartphones. But strangely enough, I’ve never seen a “March against Google”. I tried to find out how much of the seed market Monsanto owns, and the numbers are all over the place, because it’s such an easy number to rig to portray your point. For example, Monsanto says that it has 5 percent of the world market in seeds. The Organic Consumers Association says that Monsanto has 80 percent of the U.S. GM market on corn. However, GMOanswers.com explains the latter by stating that they license the trait to other independent companies, so they’re not sold by Monsanto. 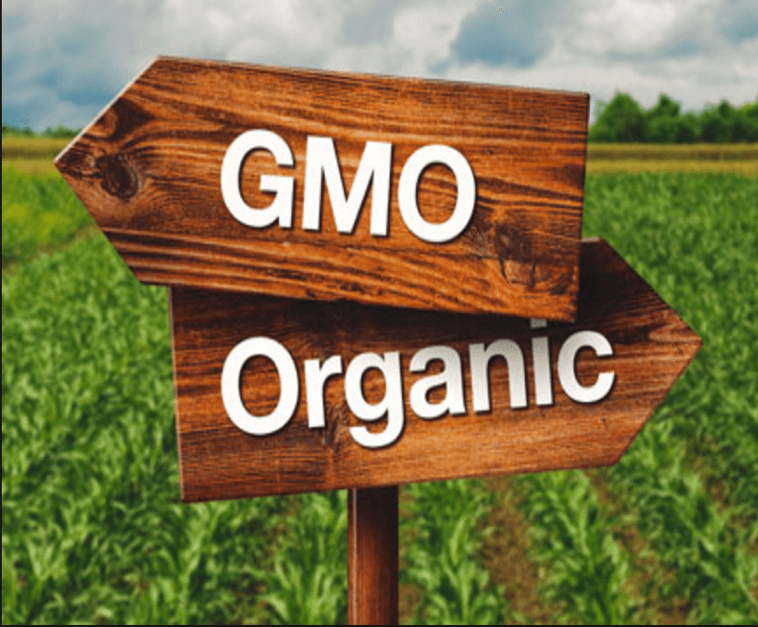 Regardless of Monsanto’s market share, it’s important to note that organic and non-GM farmers have to buy seeds from somewhere, and Monsanto does sell organic seeds. Unless you know what seeds your local farmers used, you have no guarantee that you’re boycotting Monsanto if you boycott GMOs. The problem with monopolies is a tough one and I don’t know what the solution might be. Since it takes such a long time to get a GE product through the regulatory process, it’s difficult for a small company to last very long. During that time employees need to be paid, logistics need to be taken care of, and the product pipeline needs to continue its development while no revenue is being generated. By no means is this a problem unique to the agricultural biotech sector. Small tech companies are gobbled up by larger behemoths every day. So the issue of monopolies is far from being a problem about GMOs. 1) Monsanto made (place your favorite scary chemical here). This is a topic that I’m struggling with myself. I know that Monsanto has a checkered past, particularly when it comes to Agent Orange. Very briefly, Agent Orange is an herbicide that was used by the U.S. during the Vietnam War to deprive the guerrillas on the ground of food and cover. Agent Orange production during the Vietnam War contained a contaminant which caused severe health problems in the local inhabitants. The U.S. government placed orders from many companies for Agent Orange, and Monsanto was one of them. I don’t know how it came to be that Monsanto is exclusively blamed for Agent Orange. As I see it, there are multiple people to blame, primarily the U.S. government. I’m assuming that all the companies involved could have turned down the U.S. government contract, and I’d like to believe that in an ethical world, they would have. But to blame Monsanto for this issue makes no more sense than to blame Boeing for military airstrikes, and I have yet to see a “March against Boeing”. The Monsanto that exists today has gotten rid of its chemical division, however there’s no denying that the company is built upon the revenue generated by the company that existed back when it made chemicals. There are many companies that exist today that were built decades or centuries ago under very shady circumstances (for example, Hugo Boss provided uniforms during Hitler’s Germany, many companies benefited from slavery, and machines built by IBM were used in concentration camps). I believe that these companies should acknowledge their past and make amends. GMOanswers addresses the topic of Agent Orange and Monsanto, but they have a very PC statement basically pointing the finger elsewhere. Ultimately, this issue has very little to do with GMOs, but is a discussion that we need to have in our society. In conclusion: There are many legitimate concerns about modern food production. There are many legitimate concerns about the corporate nature of our society and the undue strength corporations exert over the American political system. These are the things we should be opposing. But whether you realize it or not, when you yell “No GMO!” and list one of the reasons above, the crops that are designed for you and I as consumers, the crops that are designed for humanitarian efforts, all suffer as a consequence. I know it doesn’t make for a catchy slogan, but why not try voice your concerns by stating “No to the patenting of all seeds, regardless of technology used for their development! !” or “Increase funding so that our public institutions have the resources to commercialize and license crops!!”. I’d recommend focusing your efforts on the REAL reason why you oppose GMOs, and not on the technology as a whole. This article was originally published under the title “I Got 99 Problems but a GMO Ain’t One” in FrankenFoodFacts, a blog by Layla Katiraee, who holds a Ph.D. in molecular genetics from the University of Toronto and is a senior scientist in product development at a human genetics instrumentation company in California. All opinions and views expressed are her own. You can follow her on Twitter at @BiochicaGMO. Her LinkedIn profile is here.